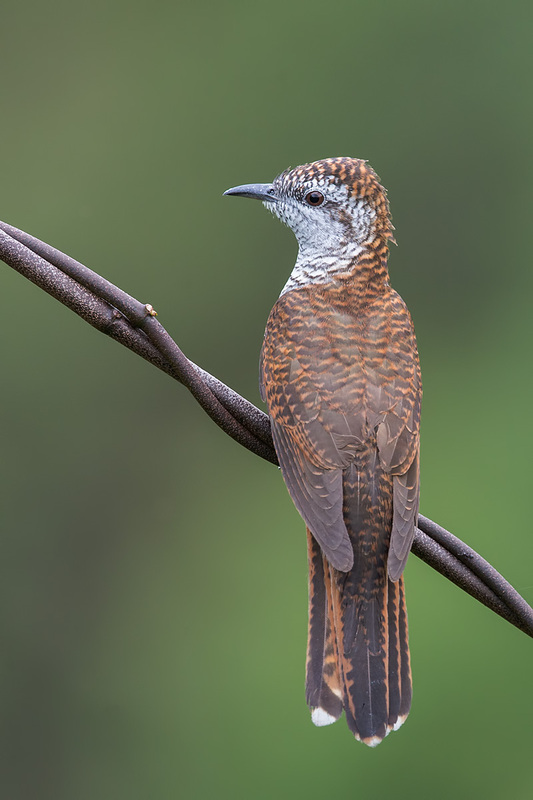 The Banded Bay Cuckoo (Cacomantis sonneratii) is an uncommon resident cuckoo in Singapore. It is found in forest edge, mangroves, secondary growth, orchards, plantations and wooded gardens. Recent sighting include areas like Central Catchment Nature Reserve, Bukit Timah, Neo Tiew and Lorong Halus. It is most easily recognized by its call. The male bird normally sings from the top of a tree to attract the mate. 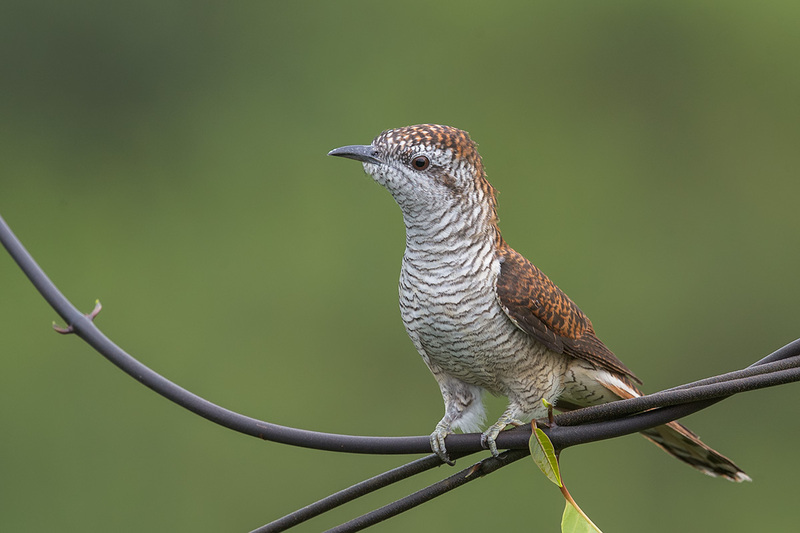 This entry was posted in Birds, Wildlife and tagged Banded Bay Cuckoo, brood parasitism, Common Iora, Feeding, jelutong tower, Lorong Halus on June 30, 2014 by Francis Yap. The Ruddy Kingfisher (Halcyon coromanda) is both a rare resident as well as an uncommon migrant kingfisher to the shores of Singapore. The resident subspecies (minor) is confined to the mangroves of Pulau Tekong, and not many people have seen them due to the restricted access. The migrant subspecies (coromanda) on the other hand comes in small numbers in two waves during the migratory season. Once during the main influx in October to November and then on their passage home to the north between February and March. I had looked at the recent records (2006 to present) to find the locality of their sightings. They have been sighted before at Jurong Lake district, Dairy Farm, Khatib Bongsu, Nee Soon Swampforest, Sungei Buloh, Malcolm Park, Lower Peirce reservoir, Pulau Ubin and even the Central Business District. The place with the most sightings is the former Muslim cemetery in Bidadari. The birds have been seen there annually since 2011. Photographically, they pose a challenge as the bird tends to be skittish and can fly a good distance away once disturbed. However with patience, an observer can get close enough for a good look and photos. This entry was posted in Birds, Wildlife and tagged Bidadari, Ruddy Kingfisher on June 28, 2014 by Francis Yap.